Hyundai is in the process of completely overhauling its crossover line, adding the new subcompact Kona, revising the slightly larger Tucson, and soon adding the new mid-size Palisade. As part of the changes, the Santa Fe Sport has been completely redesigned and renamed just the Santa Fe. The larger version, which had been called the Santa Fe, will continue unchanged, but is now renamed the Santa Fe XL. Confused? Never mind. At least Hyundai still uses real names, not an incomprehensable mix of letters and numbers for its vehicles. 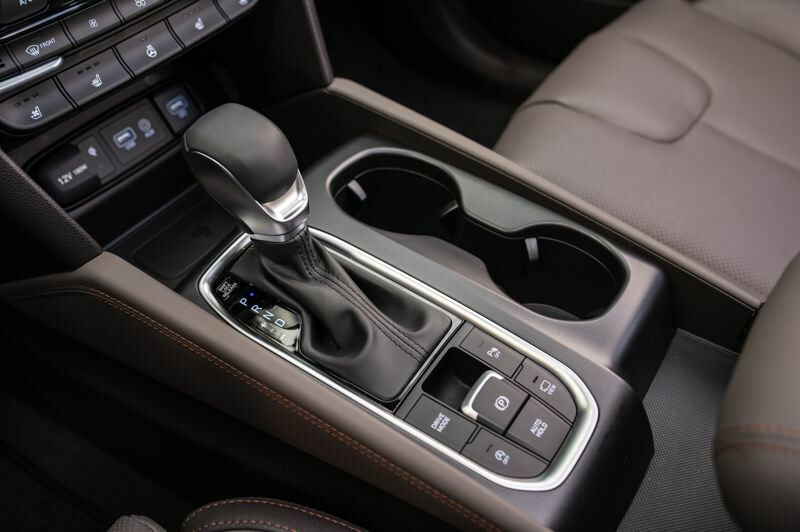 All you really need to know is, if you're interested in a two-row crossover, the 2019 Santa Fe is now even more competitive with all the other affordable compact SUV, with many standard features in the lowest priced model and practically every automotive technology available in the top-of-the-line Ultimate trim level. That was the version we drove for a week, which included the optional turbocharged 2.0-liter engine, all-wheel-drive, and just about every infortainment, luxury and safety upgrade you could possibly want — including a full leather interior, a 7-inch infotainment screen, wireless charging, and much, much more. All of the upgrades pushed the price from $22,700 to $39,905, which show the range of the different versions available to buyers. While nearly $40,000 might seem to be a lot for an affordable compact crossover, the level of refinement — especially the smooth and powerful engine — made it a reasonable option to even more expensive luxury compact crossovers. Most buyers will probably go with mid-level , mid-pricedversions, like the still-well equippped SEL Plus that starts at under $29,000. 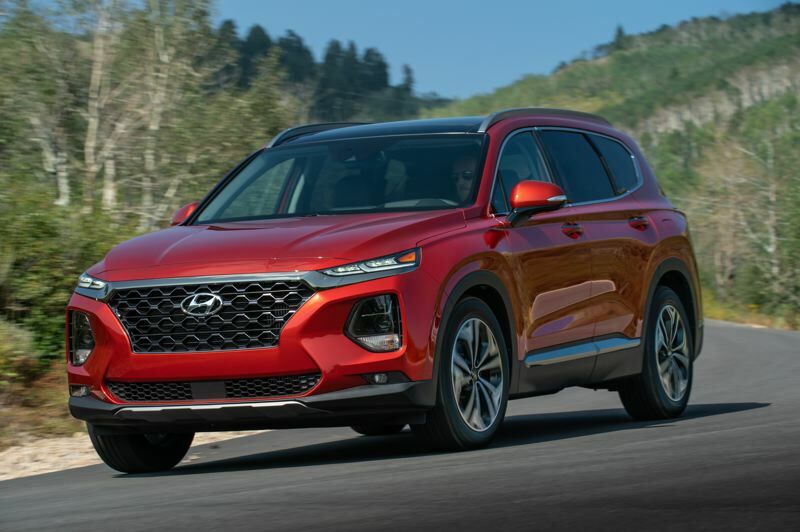 The exterior styling of the revised Santa Fe is more mature, although some buyers might not especially like the busy front end, which looks more like a Lexus than a traditional Hyundai. We got used to it, and were pleased from the start with the rest of the design, especially the sculpted sides and the wrap-around rear end. 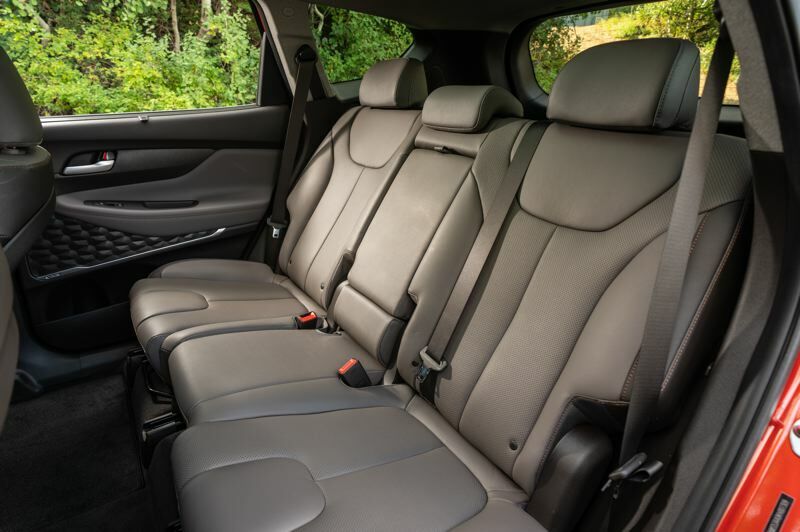 The interior styling is also more grown up, especially in contrast to the earlier Hyundai crossovers, but even compared to the last generation. The controls are easier to find and use than some competitors. It was also remarkable quiet, even during heavy rains, where the optional HTRAC AWD system never showed any sign of slipping. In a week of driving, we always found the Santa Fe pleasant and competent. 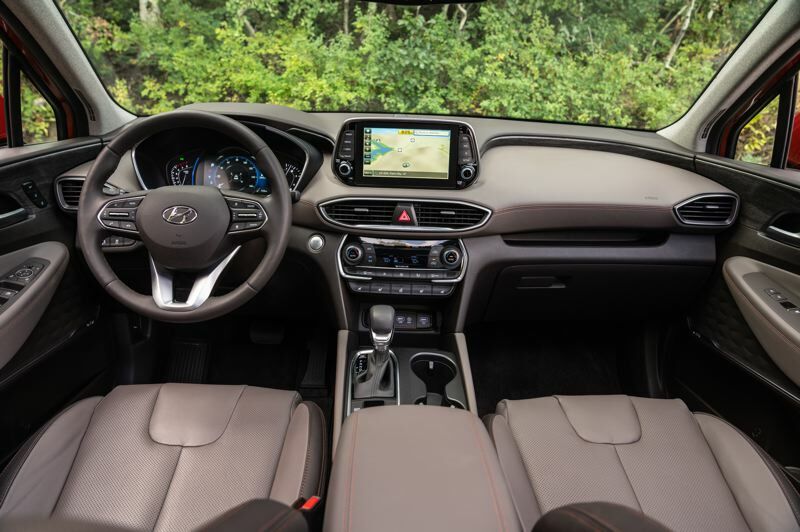 Dropping the "Sport" designation makes good sense, because it was never really all that sporty to begin with, and because most buyers value comfort over performance, which is where the Santa Fe excels. 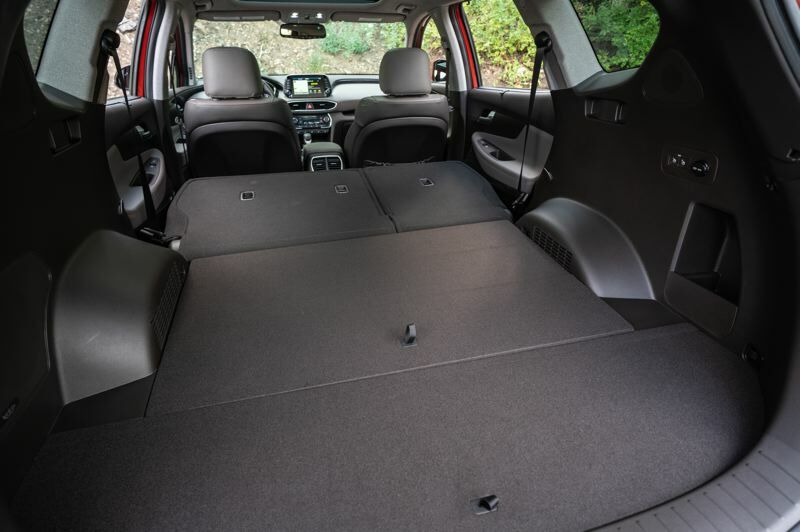 It was also practical, with up to 71.3 cubic feet of cargo space with the rear seats folded down. As everyone has heard by now, crossovers are replacing sedans as the vehicles of choice for American buyers. Huyndai is right to keep up with the times by upgrading its compact Sante Fe.